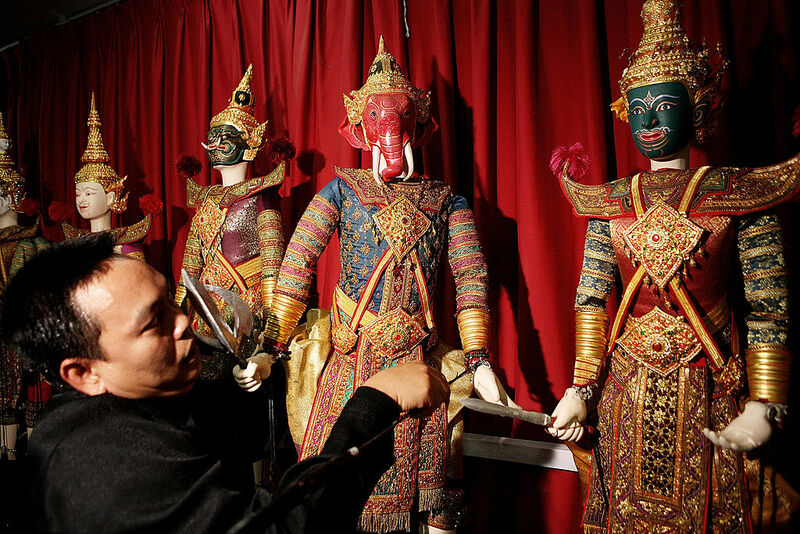 Visitors to Bangkok this month will have a unique opportunity to see the ancient art of Hun Luang (royal puppets) for the first time in 150 years. Traditional Thai puppets on display. Photo by Chumsak Kanoknan/Getty Images)Hun Luang is a branch of traditional Thai puppetry reserved for performances for the monarchy. The puppets used are one metre tall, much bigger than the ones used in other performances around the world or for tourists. It was a court art and the last time it was performed was at another Thai royal funeral in 1868. Thailand’s Fine Arts Department last year launched a project to revive and protect the art of Hun Luang and decided the show for the royal funeral would be a perfect place to showcase the almost forgotten art. How the Hun Luang performance might look. Photo by Chumsak Kanoknan/Getty Images)Four classically trained dancers will be manipulating the wooden puppets including, for the first time in history, one woman. They will have full control over the puppets’ joints by tweaking 20 strings in total, making them perform traditional dance movements. The music the puppets will be dancing to is specifically composed for the occasion and is a slower version of classical Thai music. Once the funeral is over, the Fine Arts Department wants to produce more Hun Luang with the aim of performing a full show and re-establishing this unique part of Thai cultural heritage. The funeral performance will begin at 6pm on the second stage on 26 October, the day of the cremation. It will be the opening act of an evening of performances which will include dances, plays and puppetry, while other stages will host concerts and shadow plays in tribute to the late king. Work is ongoing on the cremation site. 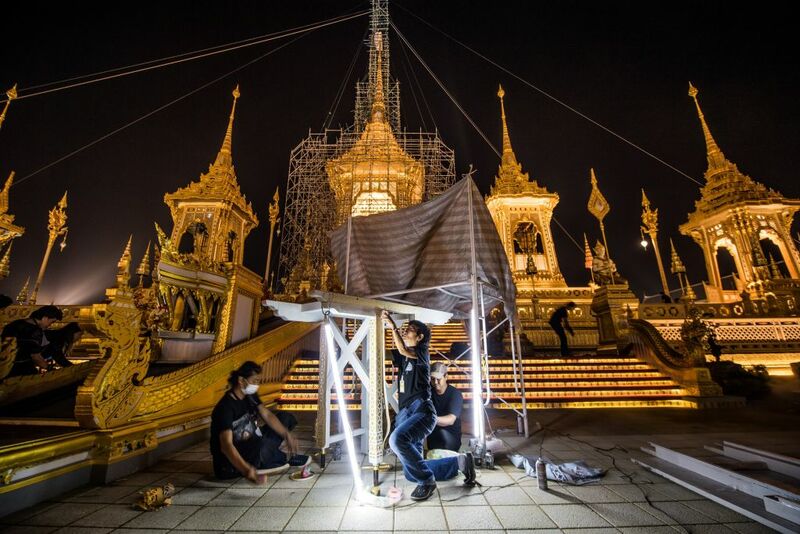 ROBERTO SCHMIDT/AFP/Getty Images)The Hun Luang performance is just one of hundreds of preparations that have been ongoing for the last year since the death of the beloved King Bhumibol, the country’s longest reigning monarch.